Capture the end of the school year with a lovely class picture and frame it in our Personalized Custom Printed School Teacher Picture Frame! 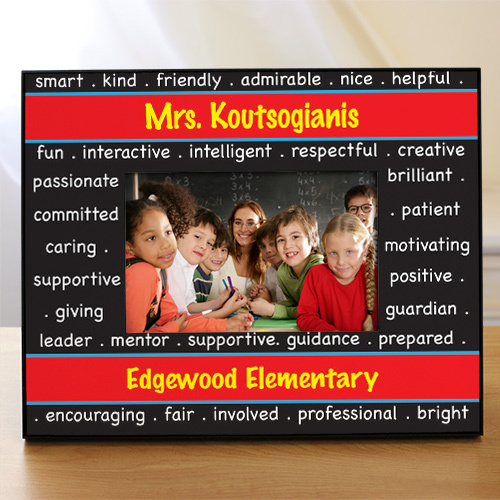 School Teacher Picture Frame are perfect personalized teacher gifts and come with any message on top and bottom! Buy personalized gifts for teachers today!